Master Chiu Wai was born in Hong Kong in 1931 and learned the art of Hung Gar and the ancient traditional Chinese medicine from his father Chiu Kao. He won a lot of major competitions in China: in 1958, when he was 27 years old, earned a 1st place in the forms section in Beijing and many other trophies organized in southern China in the 70's, 80's until 1985. In 1986, in the 1st World Wu Shu Championship, took second place in handsfree forms and first place in forms sparring with his son Denis (Master Chiu Wai was then 55 years!). Many of his students are among the strongest fighters of full contact in Hong Kong: his son Denis is one of them. Another son, Ambrose, was in charge, not so much in the practice of Kung Fu as in traditional medicine. Many movie stars of Hong Kong were students of Chiu Wai. When the teacher Chiu Wai was young, he visited many villages in Guangdong with his father in order to disclose their Kung Fu. This is why it is known throughout southern of China. Today is called "The King of the Hung Gar". Following the return of Hong Kong by Britain to China, Master Chi Wai emigrated to Canada, specifically to the city of Calgary where he lives now, leaving the responsibility of schools to his son Denis, as responsible for their gym / clinic in Hong Kong. Master Lam Chuen Ping is the founder and first master of Wu Shu Institute in Barcelona and one of the pioneers in teaching Chinese martial arts in Spain. Native of Guangdong, studied for many years alongside prestigious teachers in Hong Kong, such as Ko Kam in Wing Chun, Chao Win Tak and Chiu Wai in Hung Gar style. He trained as an acupuncturist and is an expert of massage and traditional Chinese pharmacopoeia. 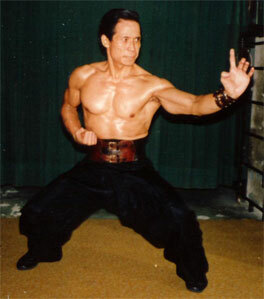 In the mid-eighties, he studied in China training methods of modern Wu Shu introducing his students in them. 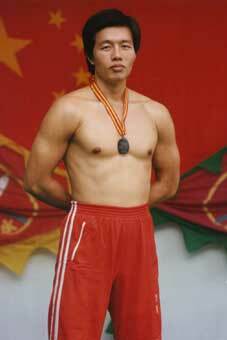 At competition level, are remarkable both achieved bronze medals in the World Wu Shu Championships in 1985 and 1986. It was likewise the inductor to the creation in 1986 of the Department of Wu Shu in the Spanish Judo Federation linked to the International Wu Shu Federation, the only one officially recognized by the International Olympic Committee.